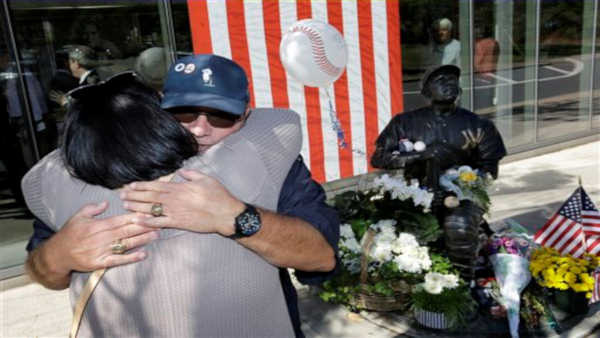 LITTLE FALLS (WABC) -- Several hundred fans of Yogi Berra have gathered in northern New Jersey to pay tribute to the late New York Yankees Hall of Famer. The Yogi Berra Museum and Learning Center in Little Falls staged a memorial event on Sunday. Among those attending was Larry Berra, the catcher's son, who shared stories about his father and his life. Berra, a longtime New Jersey resident, died Sept. 22 at age 90. His namesake museum offers children's educational programs that focus on sportsmanship and social justice along with baseball exhibits and memorabilia.